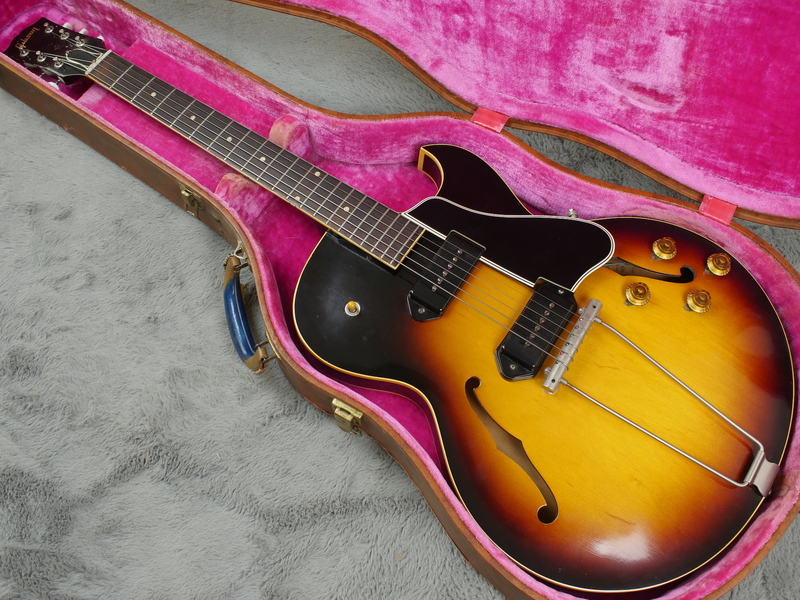 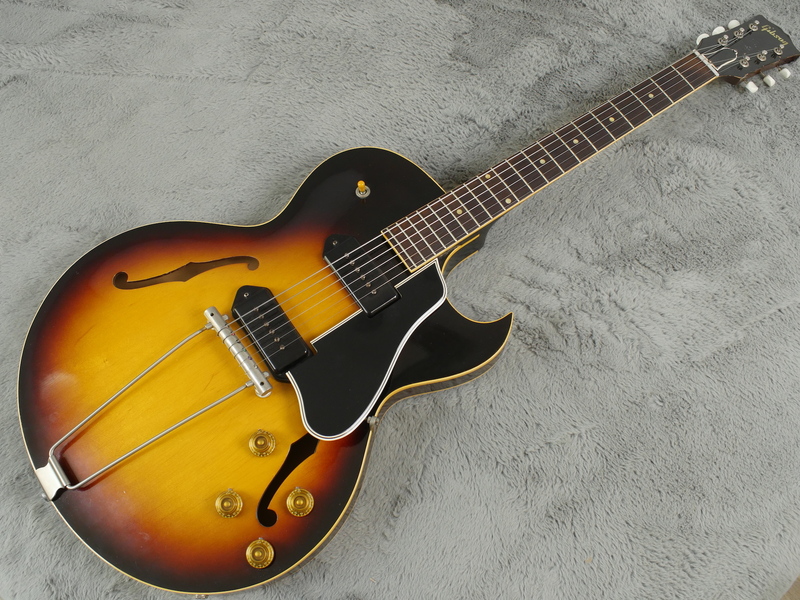 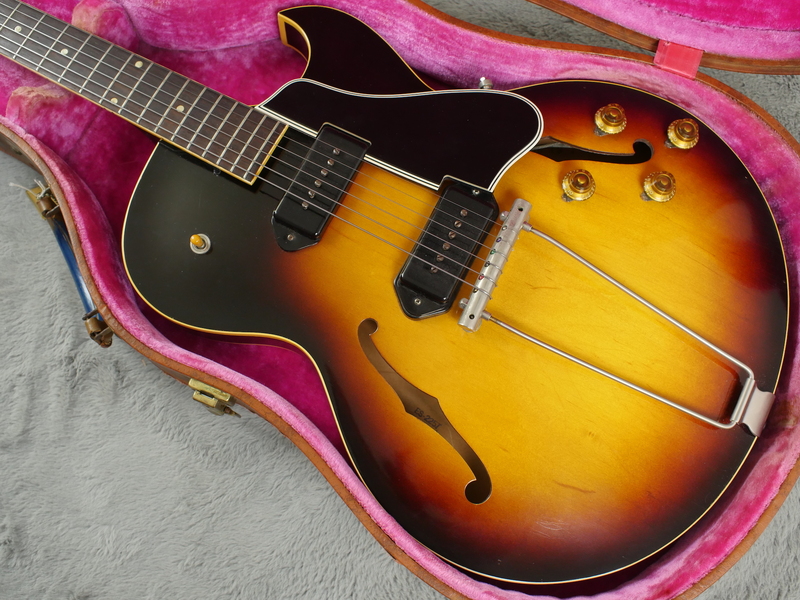 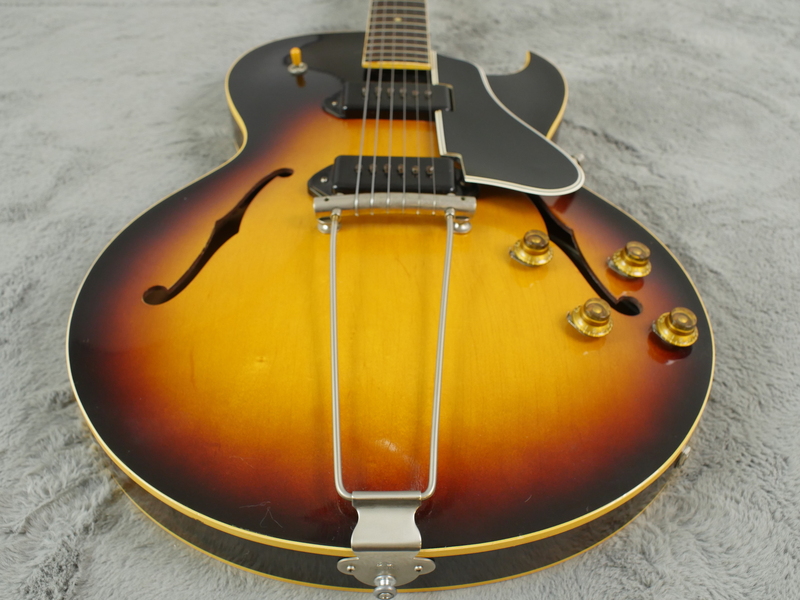 Introduced in 1956, the ES-225 was the first thinline hollow body guitar in the Gibson catalogue, starting a trend that would continue on through the Byrdland and ES-350 and usher in the ES-330 and pave the way for the semi-hollow ES guitars towards the end of the decade. 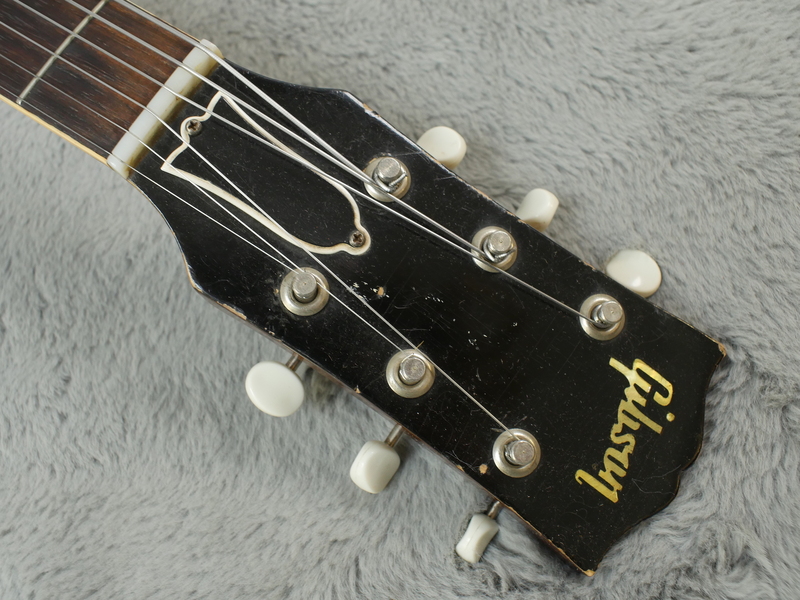 This guitar is in great shape. 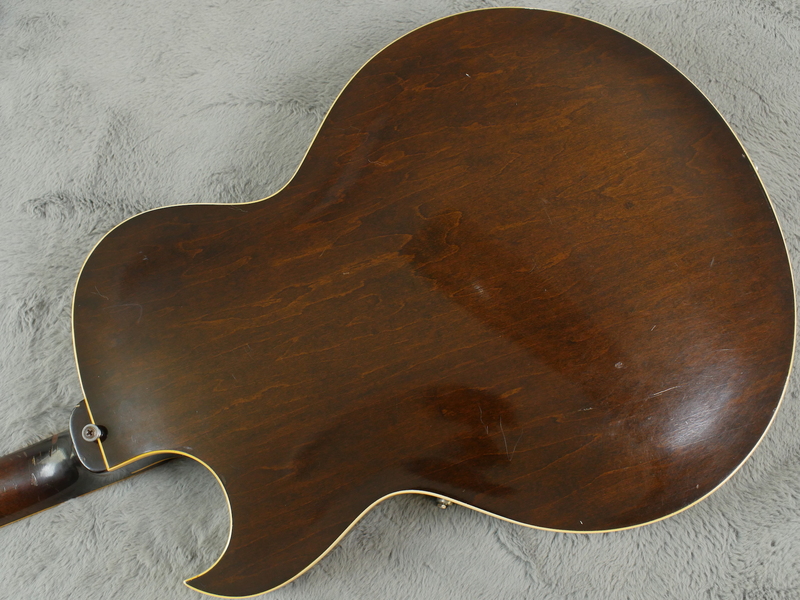 The top of the body shows next to no signs of fade, all three tones still look vibrant. 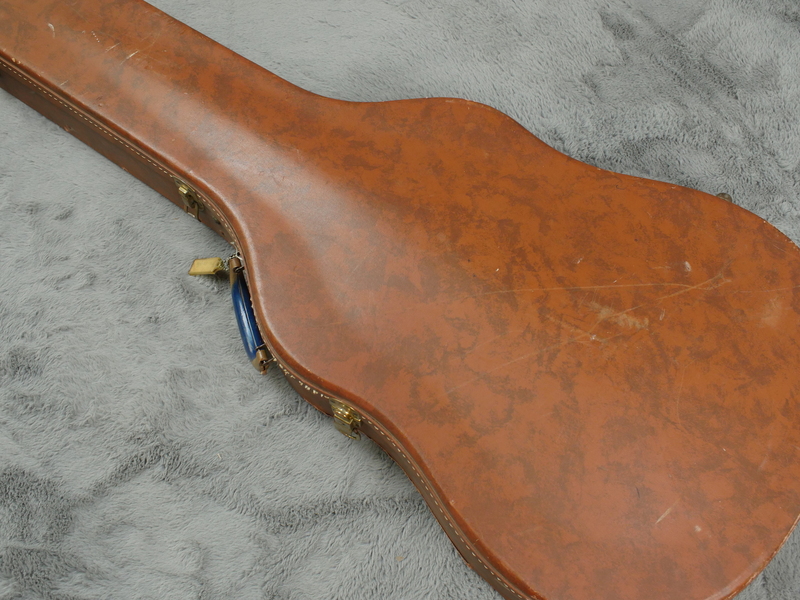 The back too is looks stunning even with a few minor scratches. 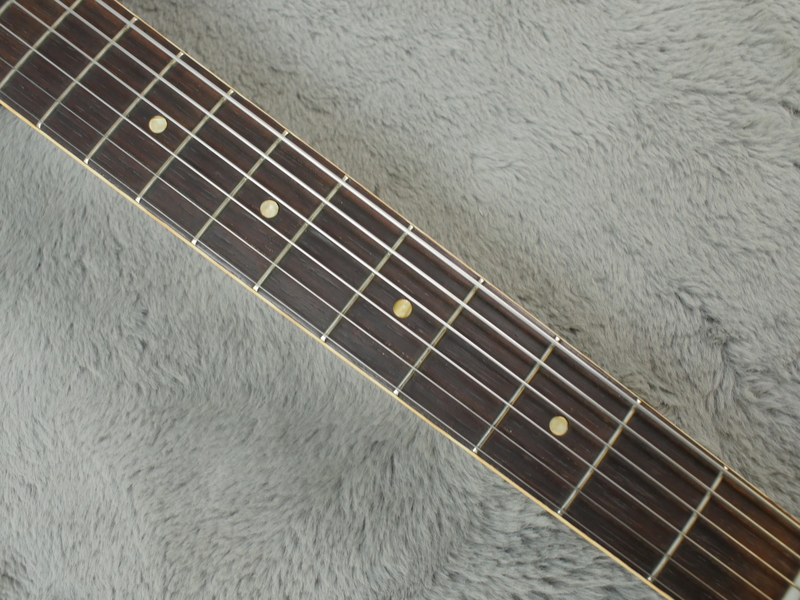 The fretboard is superb and the frets, though showing some signs of wear, still have plenty of life left in them. 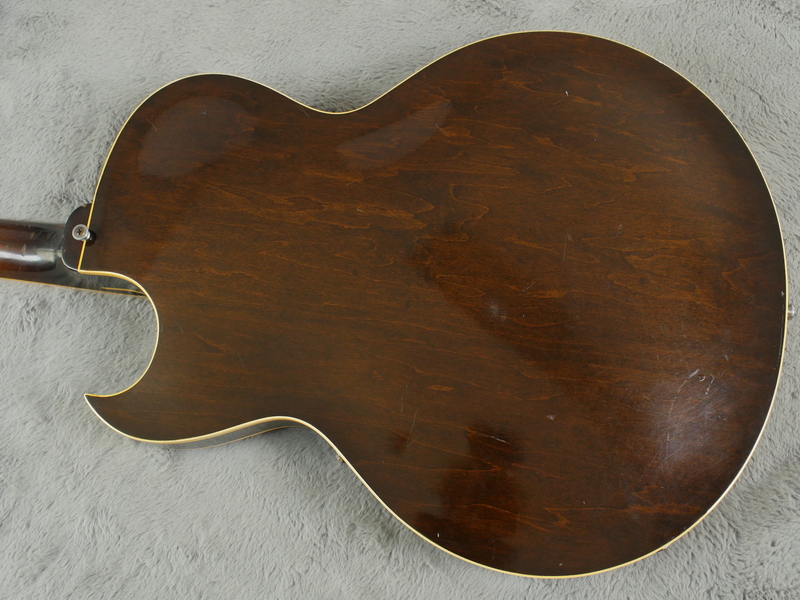 The neck is comfortable but the lacquer has sustained a few knocks. 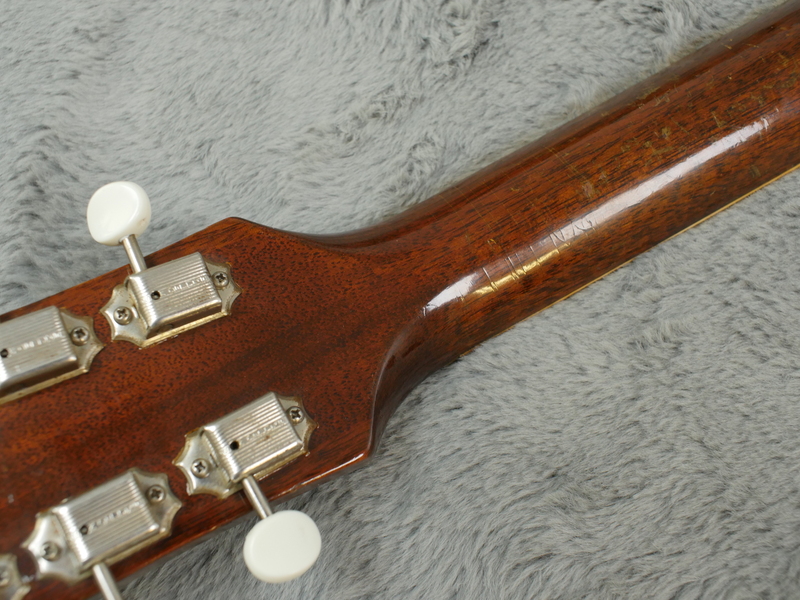 Having said that the neck is solid and free of breaks. 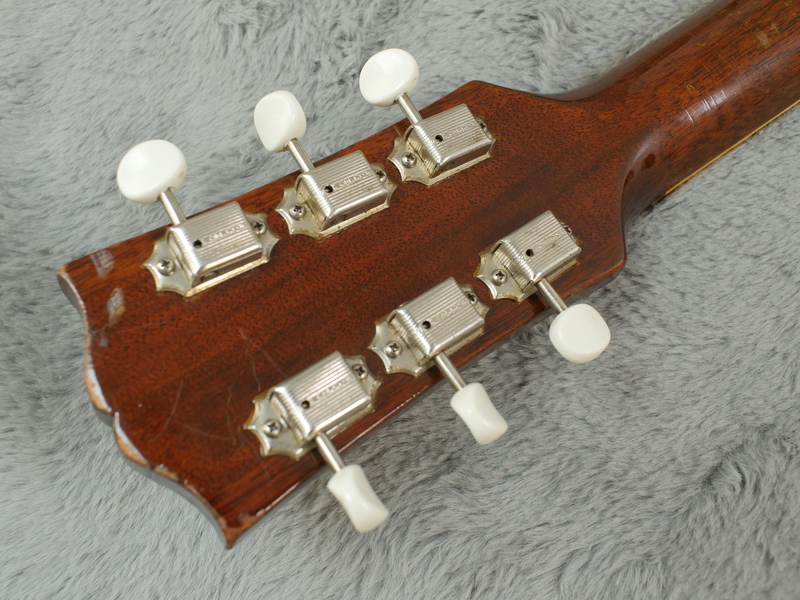 There are a few marks on the headstock face but these aren’t to substantial. 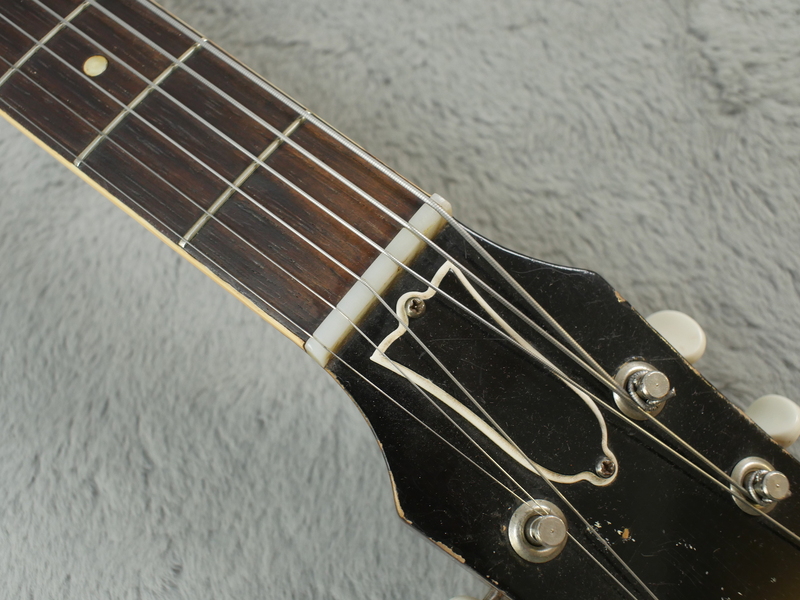 The trapeze tailpiece (surely one of the reasons you’ve got this far!) 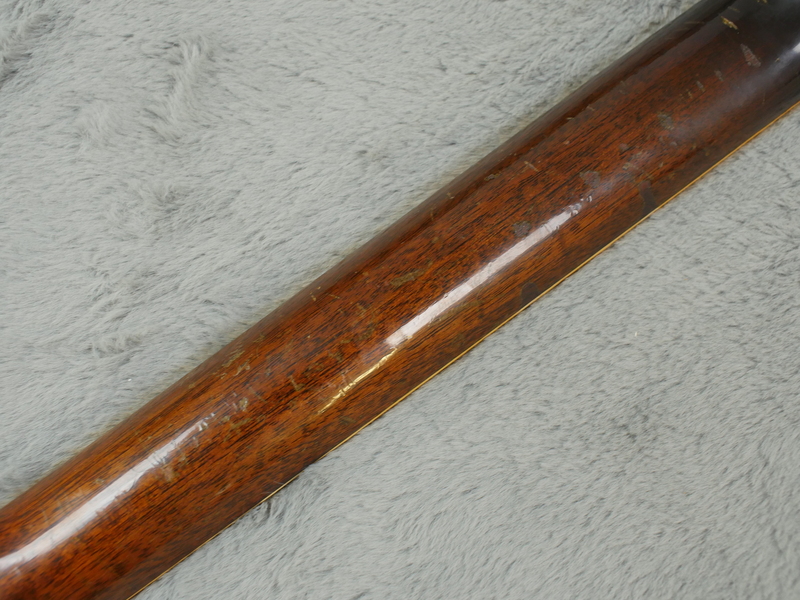 is free of any pitting or excessive wear. 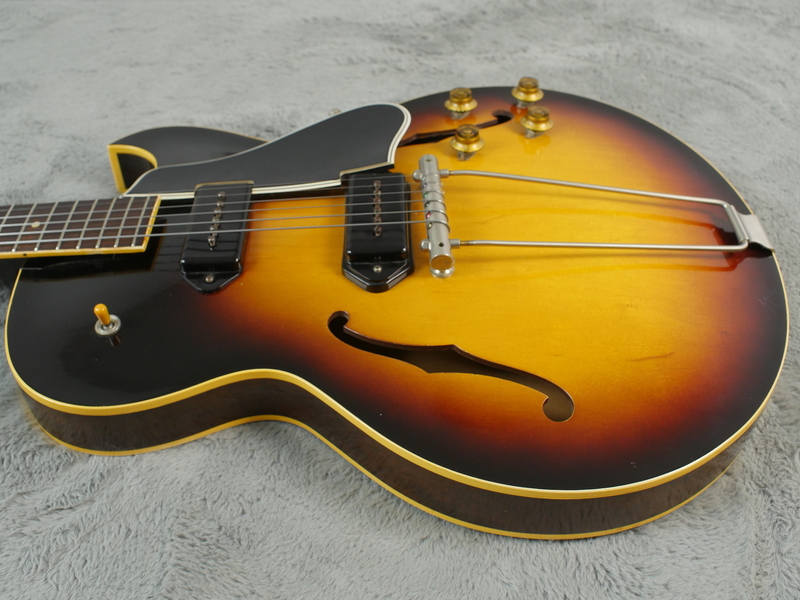 It also intones surprisingly well. 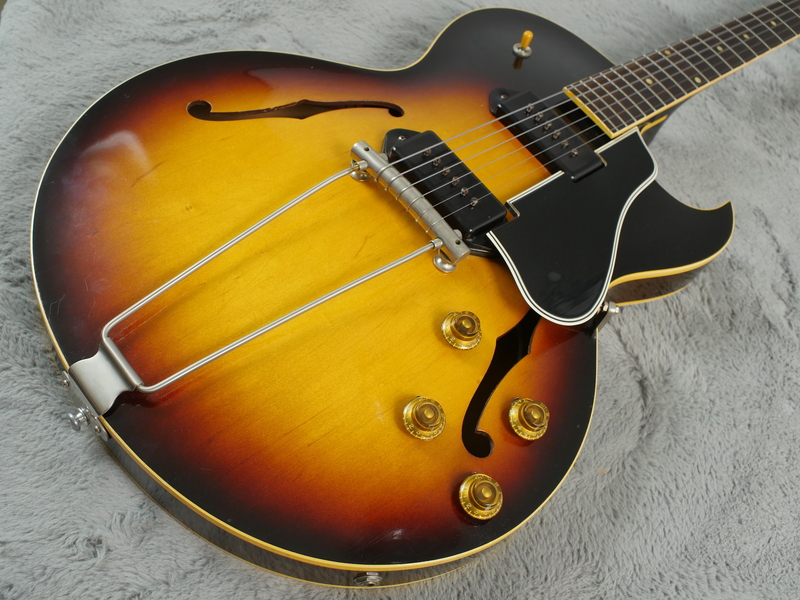 Plastics have survived well too, pickguard has warped a little but is not serious and the pickup covers look good too. 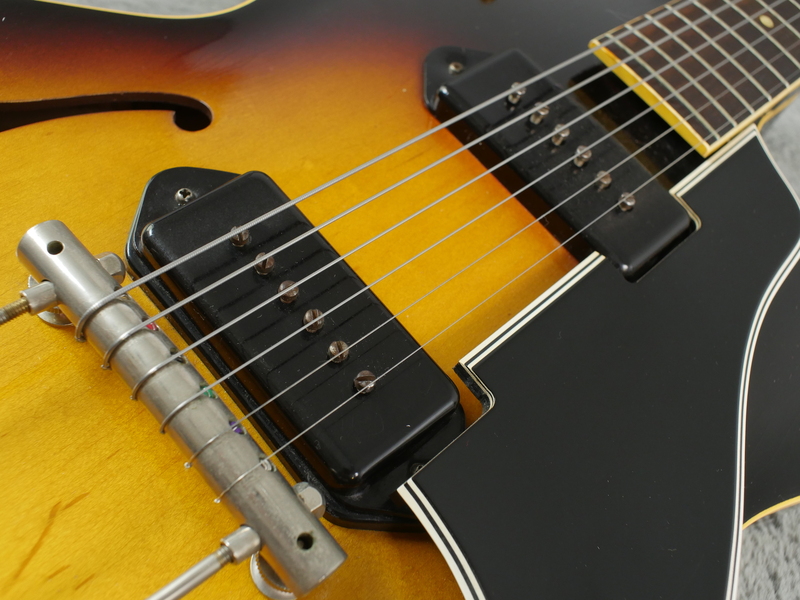 Both pickups are strong, mellow or with enough bite and quack you expect from a vintage 50’s P-90. 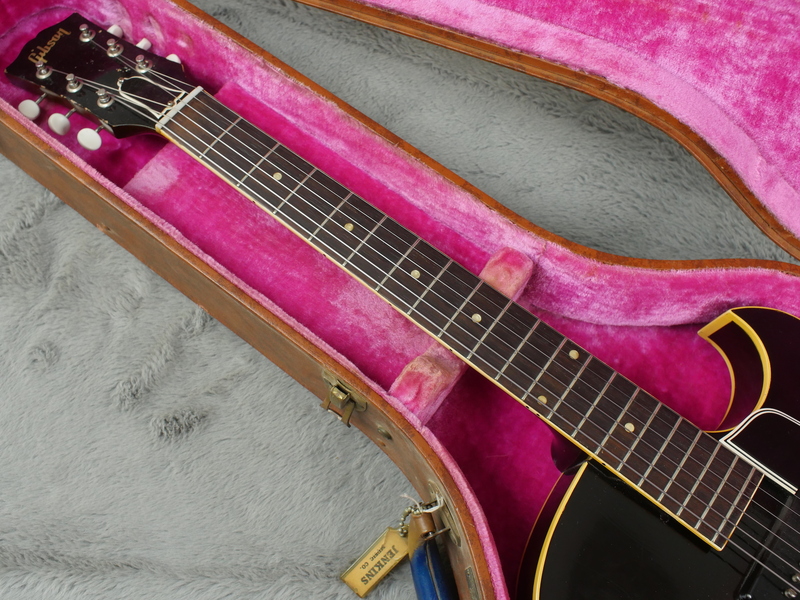 Neck is a classic Gibson 1957 style chunky C.
The guitar comes with a correct 4 latch Lifton case with the classic pink lining. 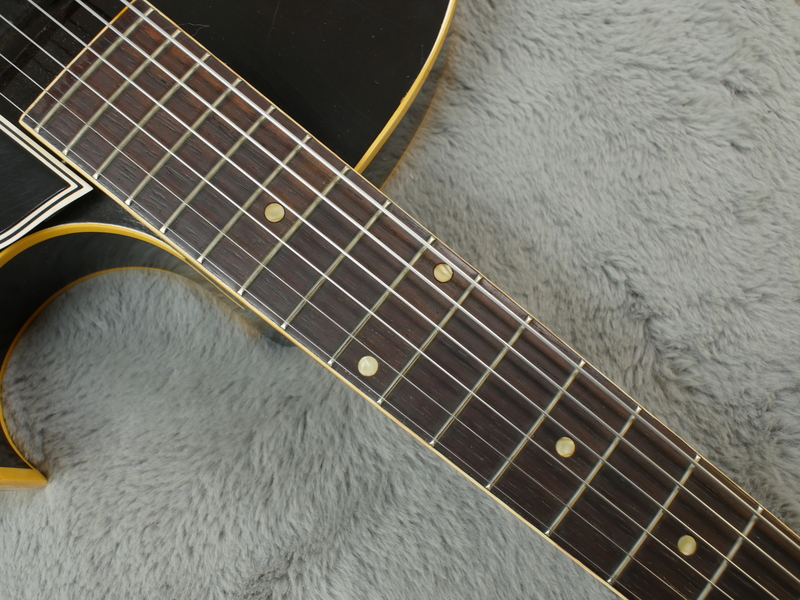 The most surprising thing about these guitars is their versatility. 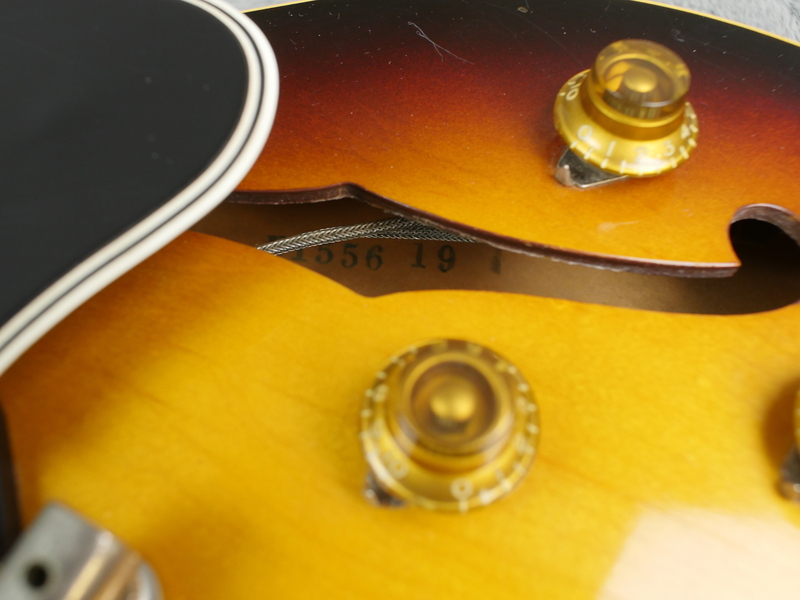 Even with the hollow design, the guitar can withstand a surprising amount of gain before feedback becomes impossible. 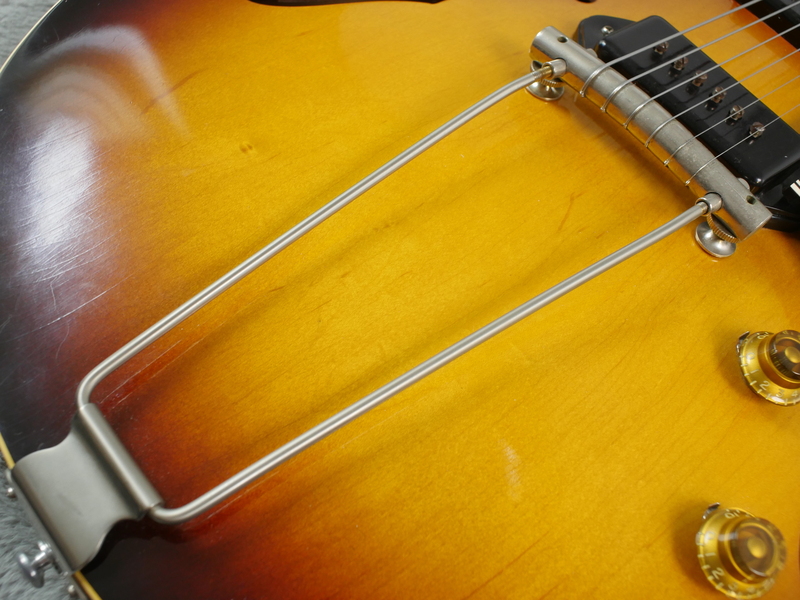 The tailpiece seems to play a big part in the tone. 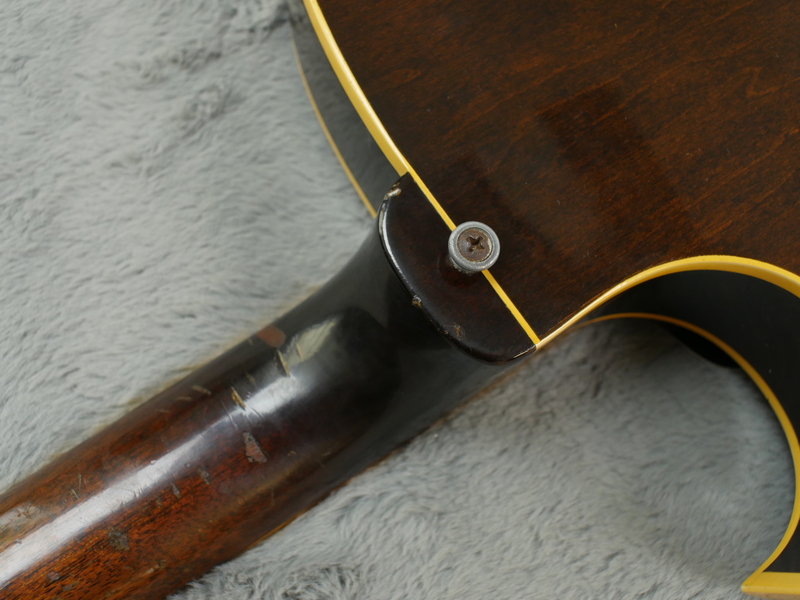 We’ve conducted experiments (on a different guitar of the same model) whereby we swapped the tailpiece from the trapeze found here to a rosewood bridge and found that the one piece trapeze tailpiece produces far more sustain and a better string transfer to the top of the guitar. 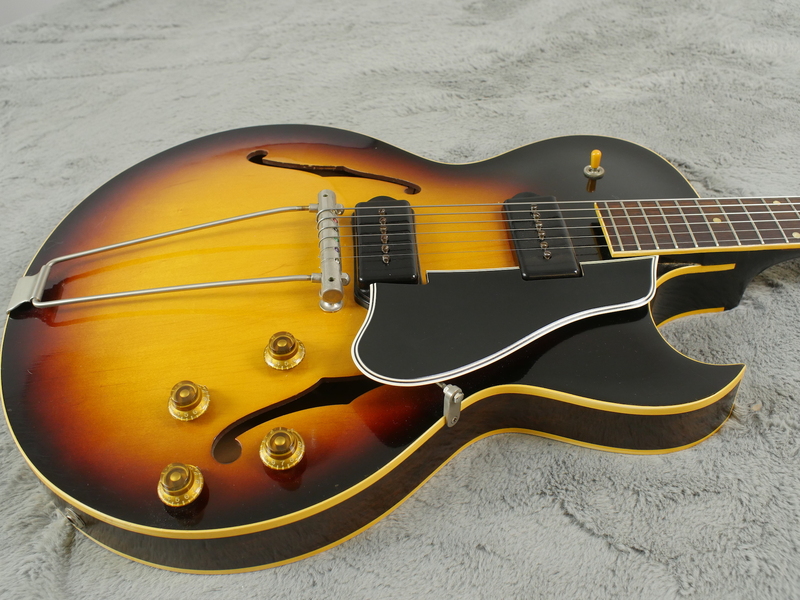 In effect what you get here is akin to a hollowbody Goldtop Les Paul, the combination of P90 pickups and heavier tailpiece. 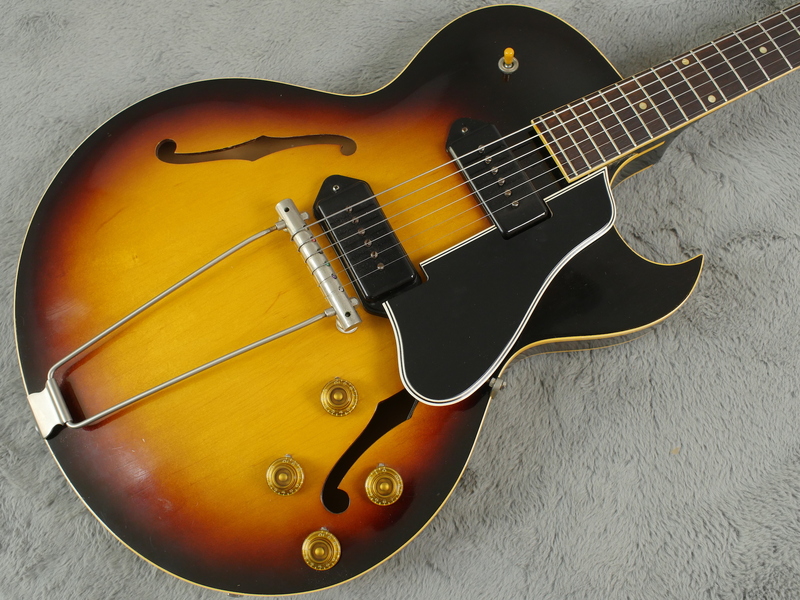 This guitar is currently setup with flat wound strings and plays very well. 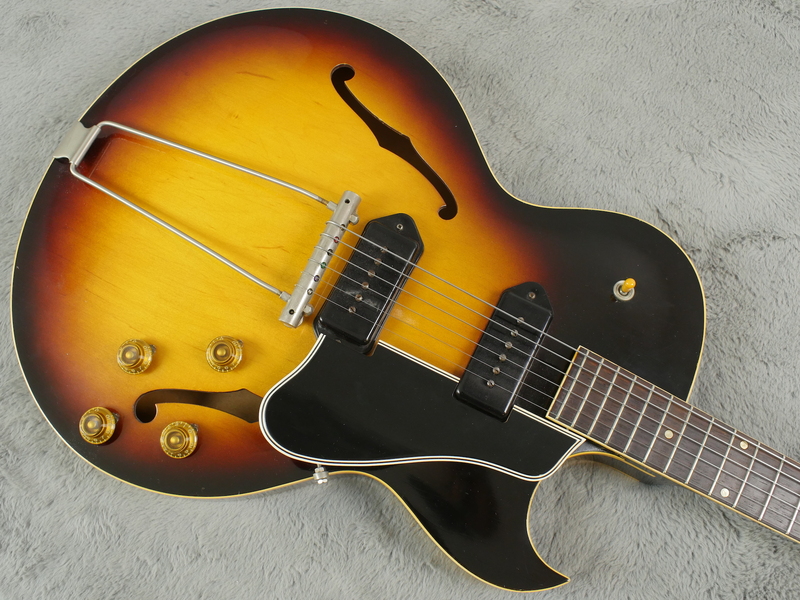 A dark horse that is becoming a favourite here at ATB Guitars, the Gibson ES-225 is not to be overlooked if you’re in search of that illusive 50s Gibson tone.